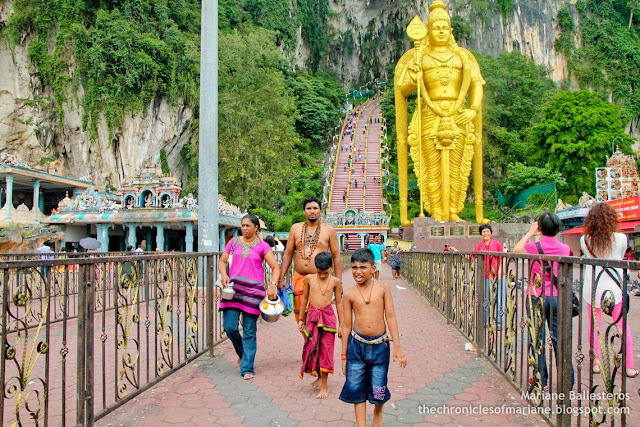 After going to Batu Caves, we decided to get a let the rain stop first as it would have been difficult to go around and take pictures with the rain and all. 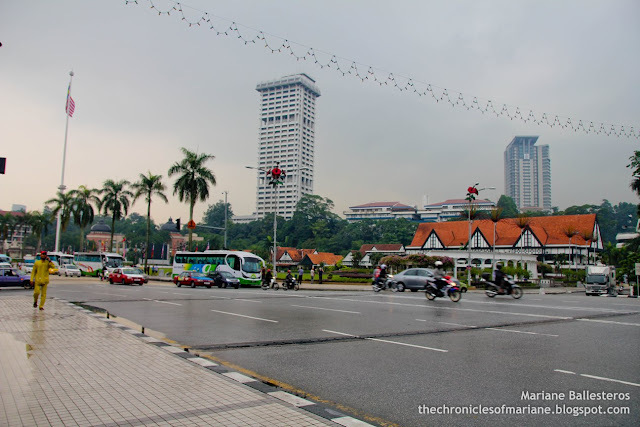 It was already past 4PM when we felt it was okay to go out and head to our next destination which was Merdeka Square. 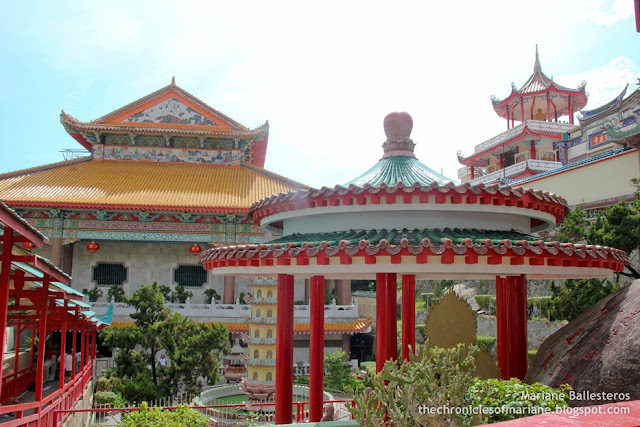 We were supposed to go here after our visit to Chinatown on our first day but we eventually forgot so we decided to push through the next day. 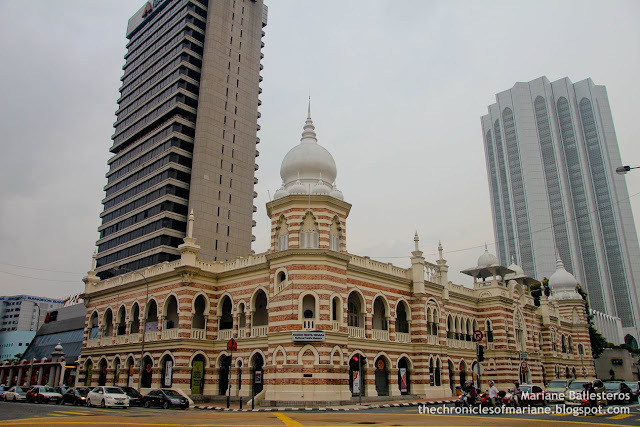 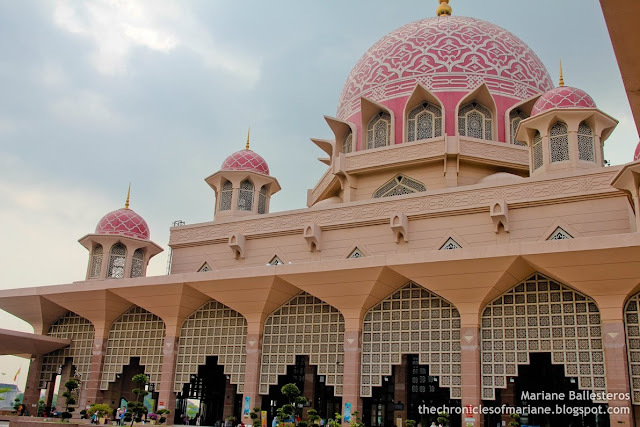 We alighted at Masjid Jamek station and wanted to see one of Kuala Lumpur's biggest mosque that is also said to be the first brick mosque to be built in the city. Too bad it was under construction so I only had to see it from afar. 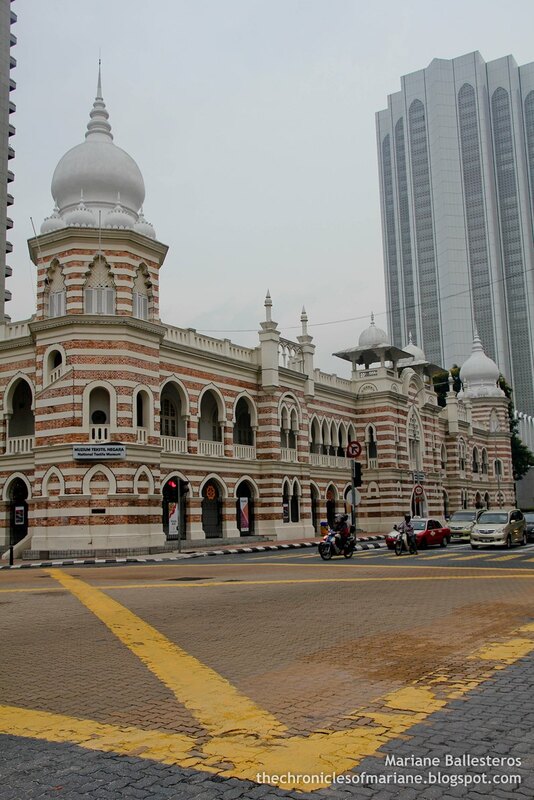 We continued to walk to Merdeka Square and spotted some interesting buildings along the way. 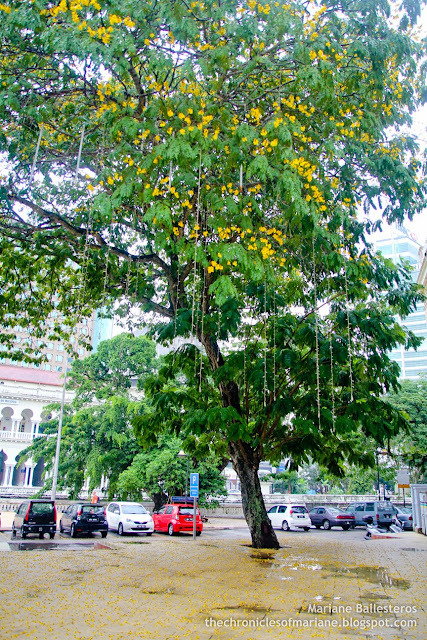 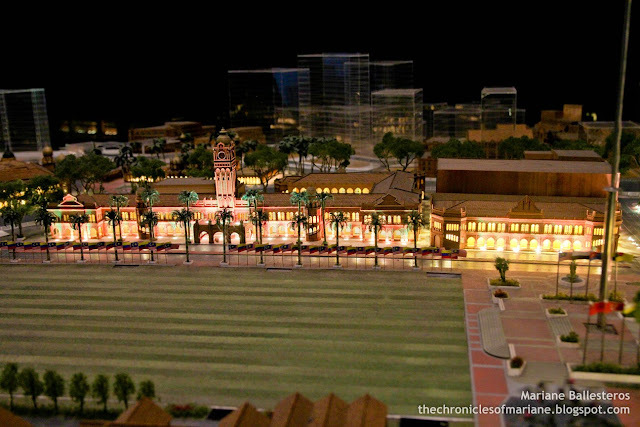 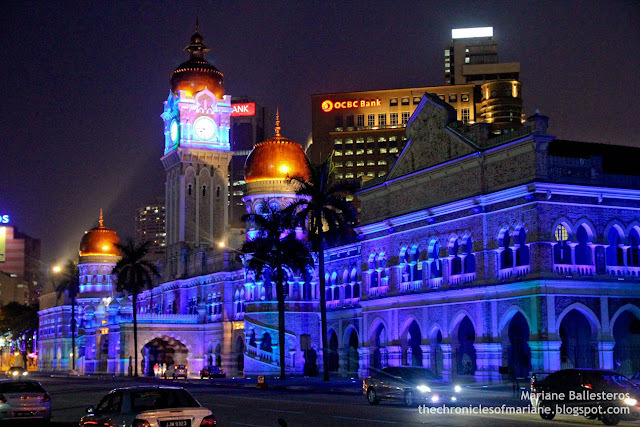 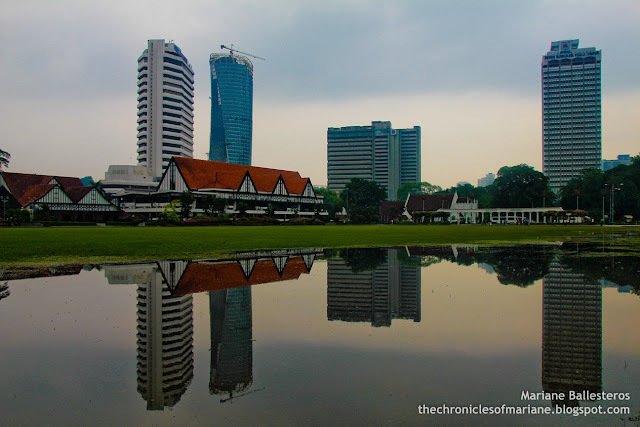 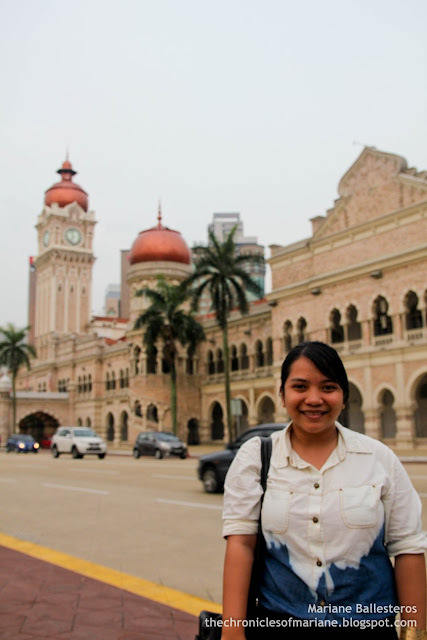 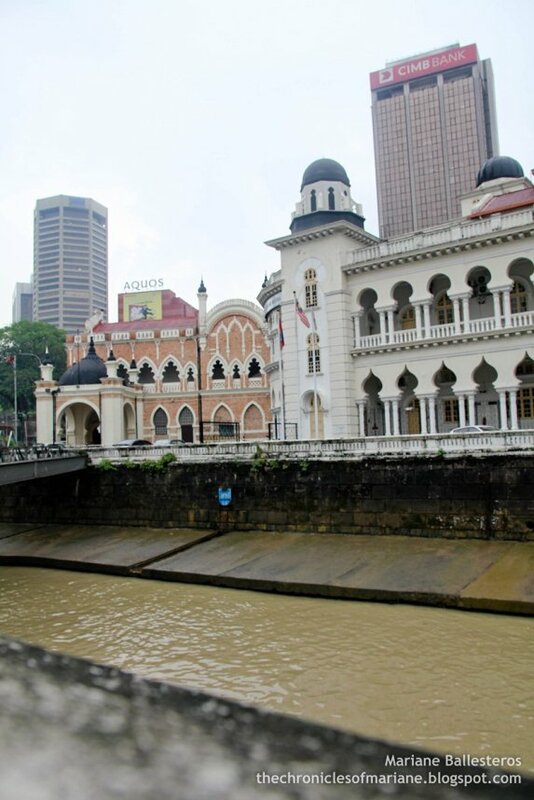 I first noticed the Panggung Bandaraya or the City Theater, which was the former City Hall. The structure has distinct references to the Islamic culture with its arches and domed-shaped pavilions and has preserved its stunning Moorish façade. 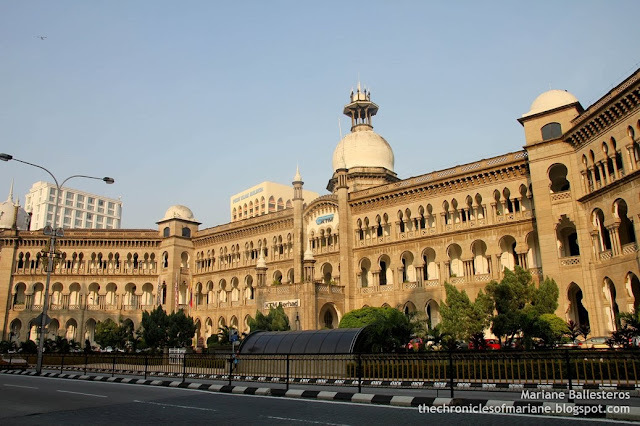 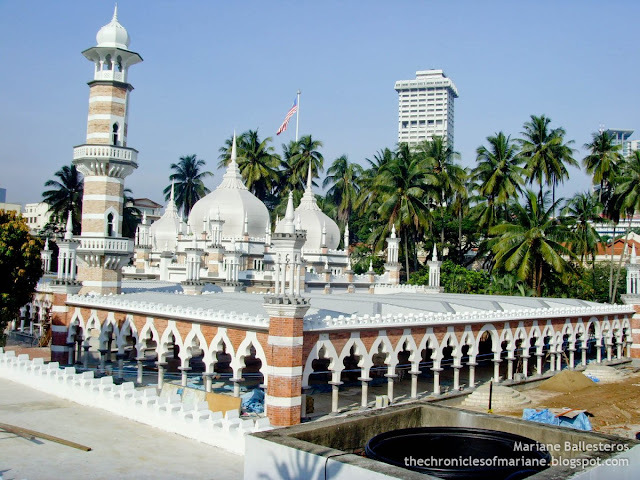 Just across is one of the most astounding buildings in the area, the Sultan Abdul Samad. 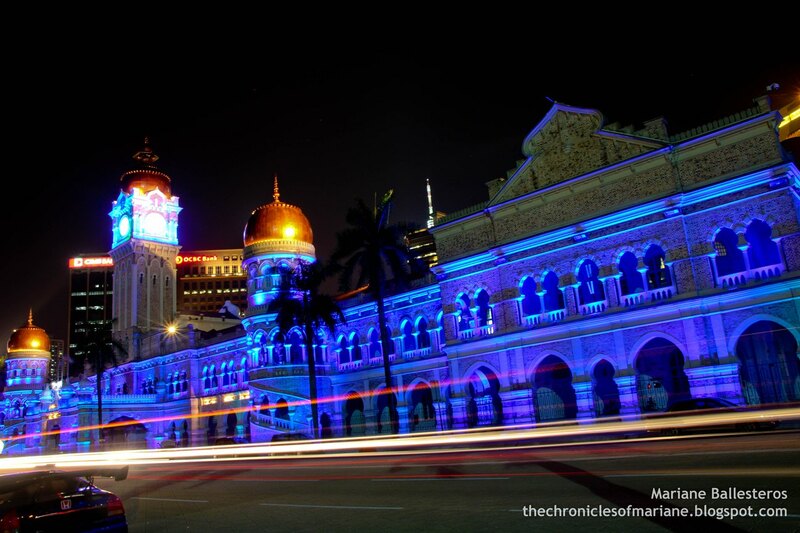 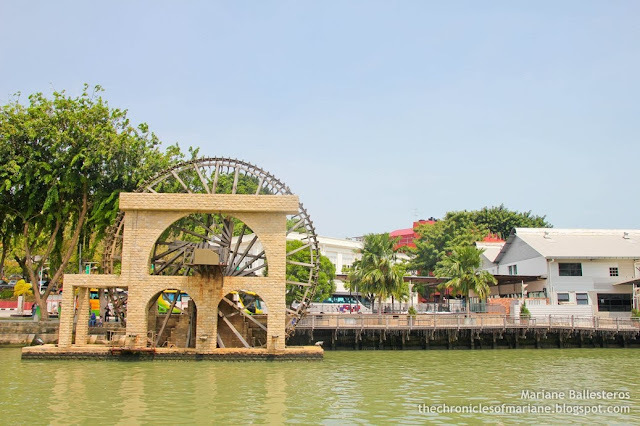 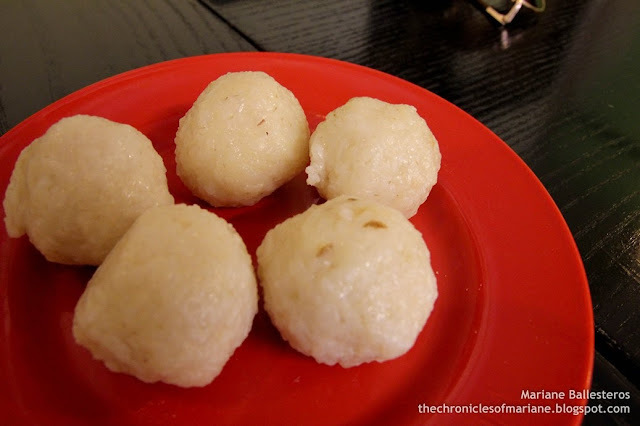 Its name is said to be derived from the Sultan of Selangor region during the time of its construction in 1894. 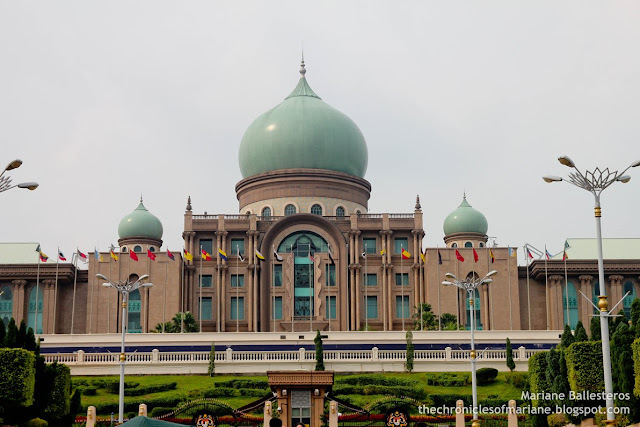 It is one of the most distinct landmarks built by the Britains during their regime in the country and also used to be the office for the High and Supreme Court during 1970s. 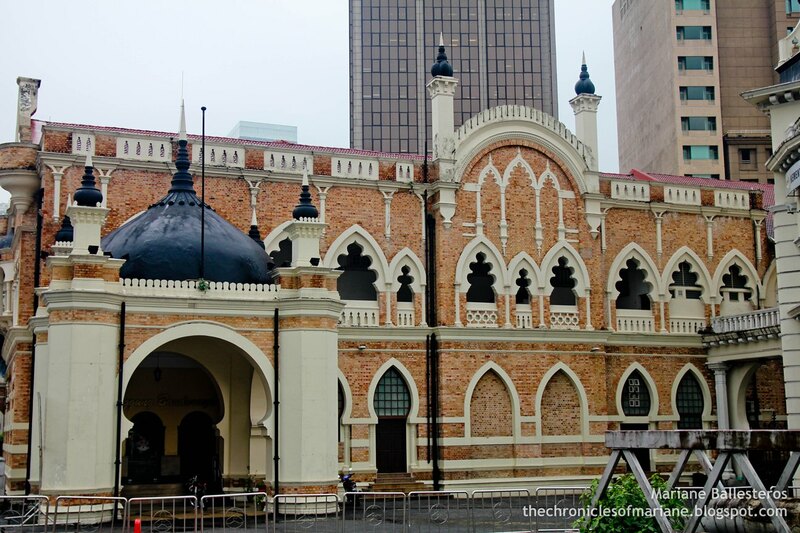 It presently houses the Ministry of Information, Communications and Culture. Its very outstanding with its design with Moghul Islamic architecture in mind. 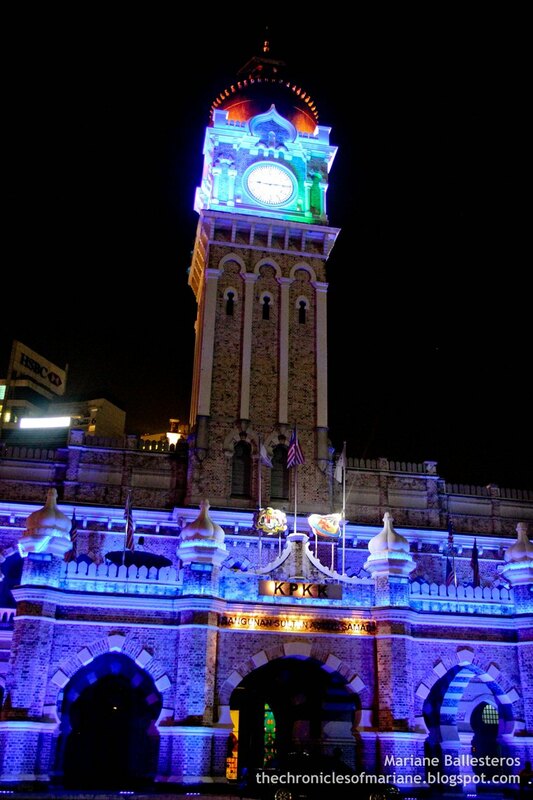 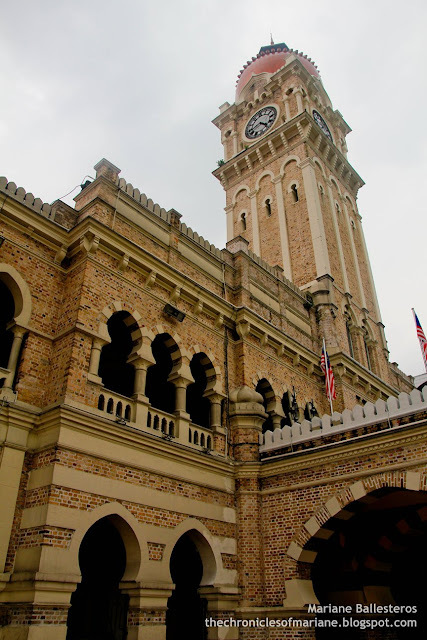 Also, it's very distinct for the clock tower that is also popular to the locals as the "Big Ben" of Kuala Lumpur. 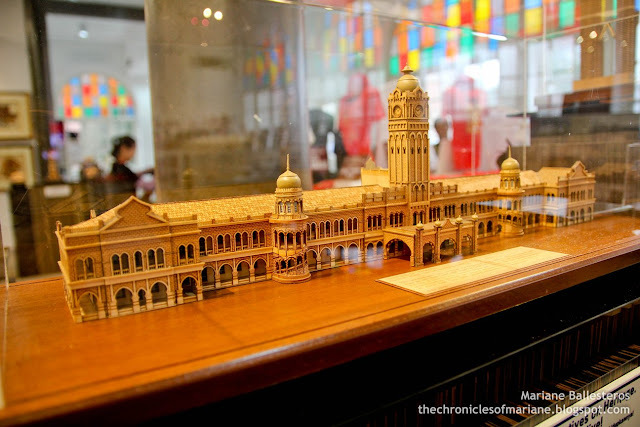 Moving on is the National Textiles Museum, Muzium Tekstil Negara in Malay, is the structure that used to house the Federated Malay States Railway Station and Selangor Works Department, but now being utilized as a museum. The building is open to tourists interested to see diverse textile displays coming from various parts of the country. 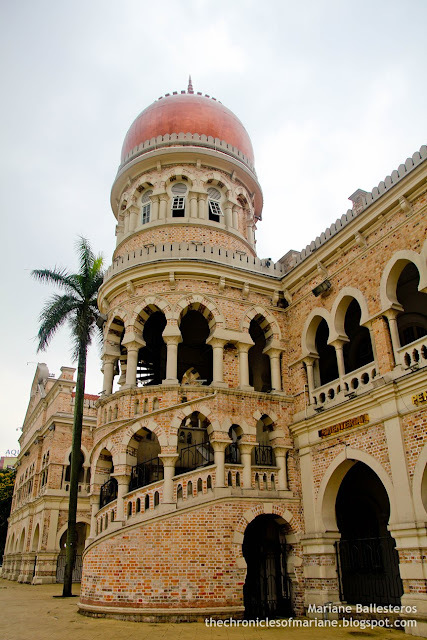 I was quite attracted to its design, especially to the colors of the bricks used and the onion-shaped domes. Crossing the main road, you will be able to see the former of the National History Mseum, though is now converted to a restaurant called Restoran Warisan. 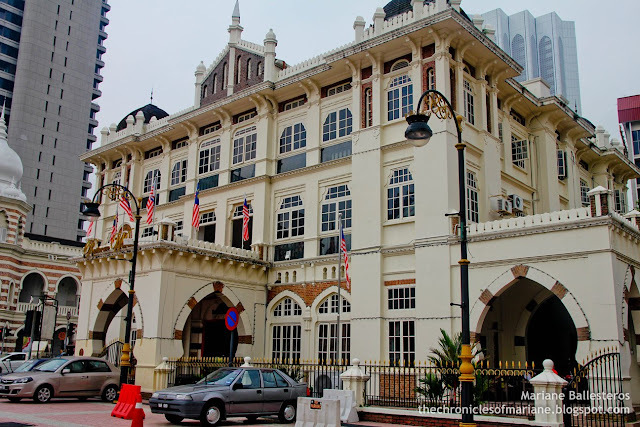 Unlike the previous buildings I saw, this one is inspired by European architecture though there are still visible Islamic influences to its design. 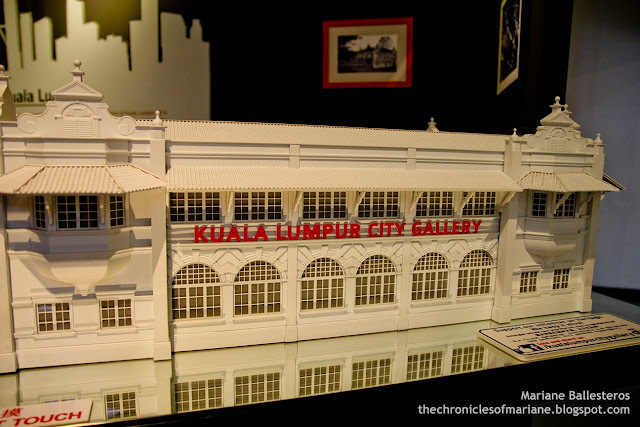 Next to it is Kuala Lumpur City Gallery, though I probably forgot to take a picture of the building itself, I was able to shoot a photo of its scale model that can also be found inside the gallery. 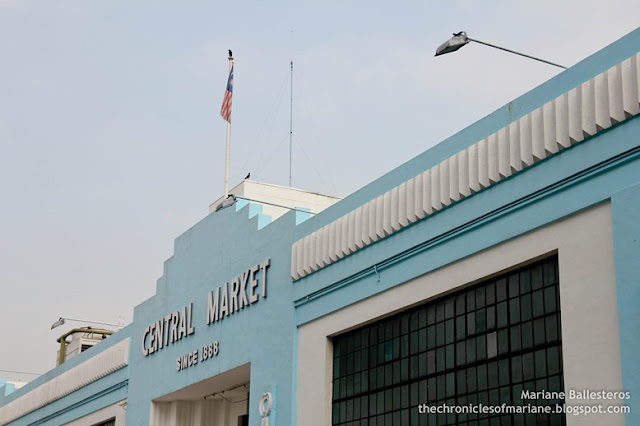 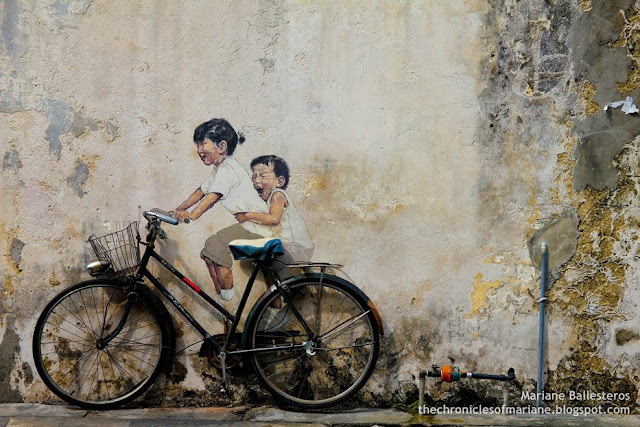 Since we were already touring around to have a glimpse of Malaysia's history, why not go here to see more of modern KL inside. 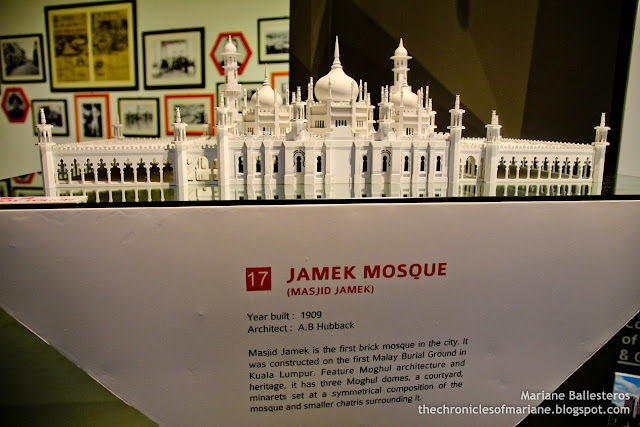 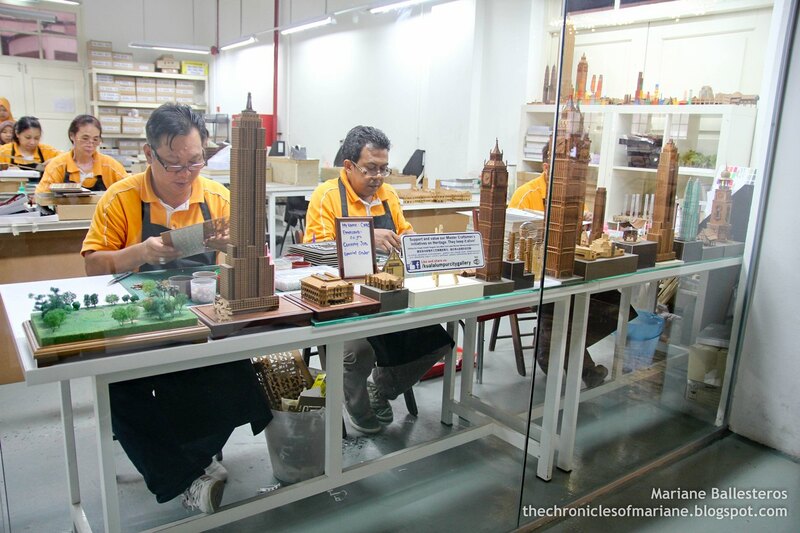 There are tons of miniature models of the famous buildings of Malaysia inside which I absolutely loved. 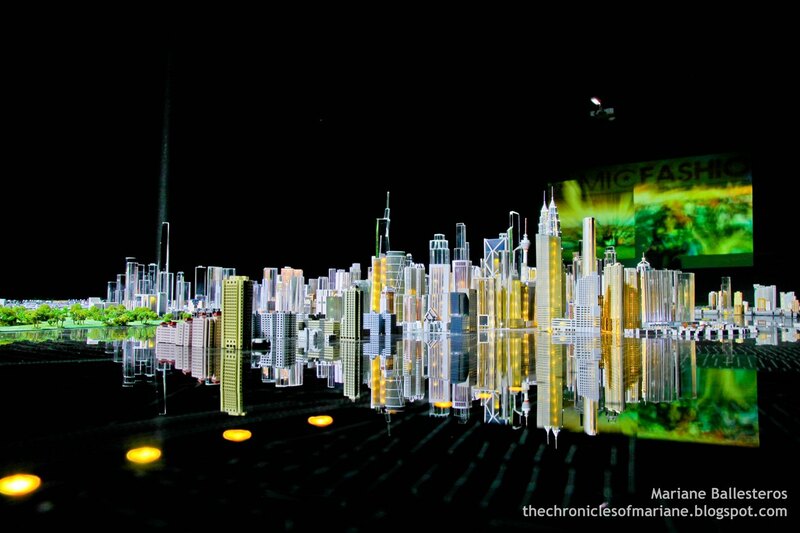 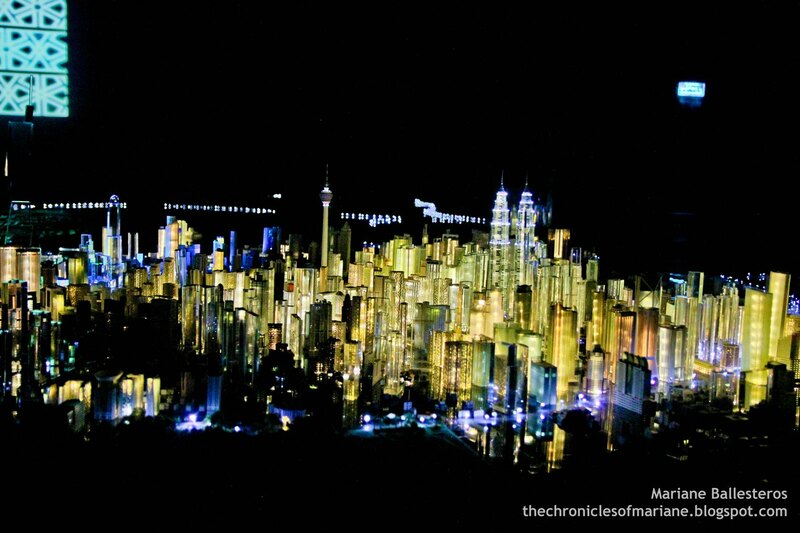 I was extremely impressed with the miniature model of Kuala Lumpur's cityscape. It is 40x50 feet that was enough to amaze us. 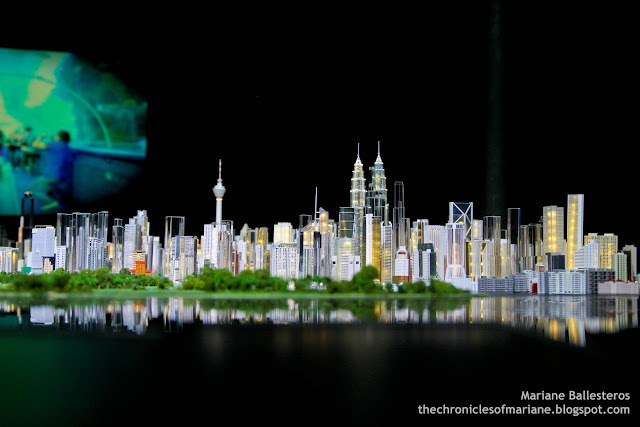 We even came back three times inside the showroom just to see it and take pictures. 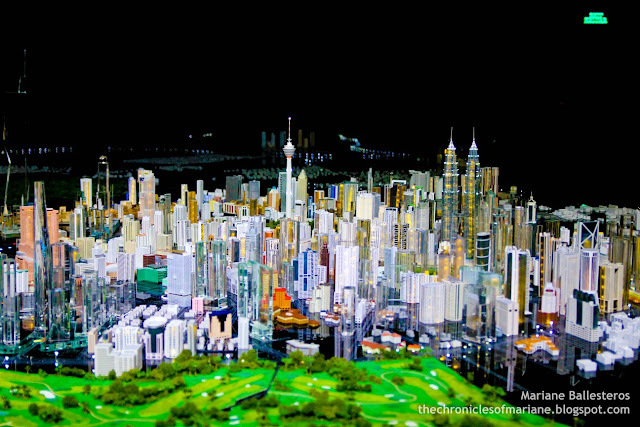 scale model of Kuala Lumpur, how cool! Not only is this a gallery but you could also buy souvenirs here. They have all sorts of stuff you could think of buying: clothing, notepads, pens, key chains, mugs, they even sell scale models of Sultan Abdul Samad that we just previously saw and also Petronas Twin Towers! 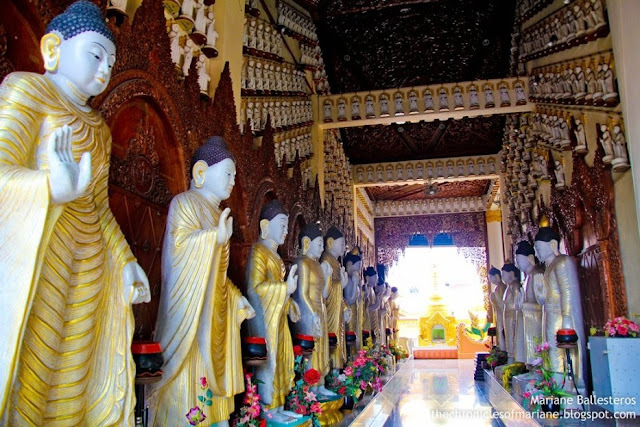 The staff were also very very helpful, they also act as Tourist Information guides and they hand out pamphlets available in case you'd need one or you haven't planned your itinerary yet. 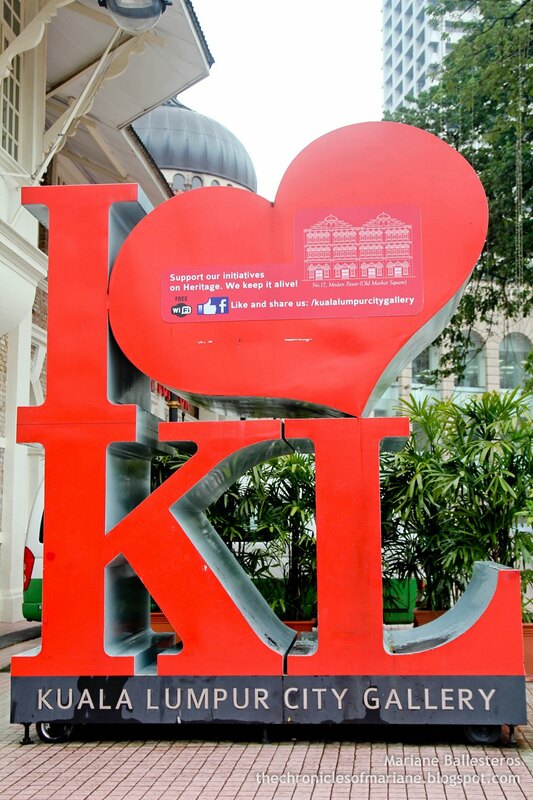 They can also help out on directions and even gave us free KL key chains. How lovely! 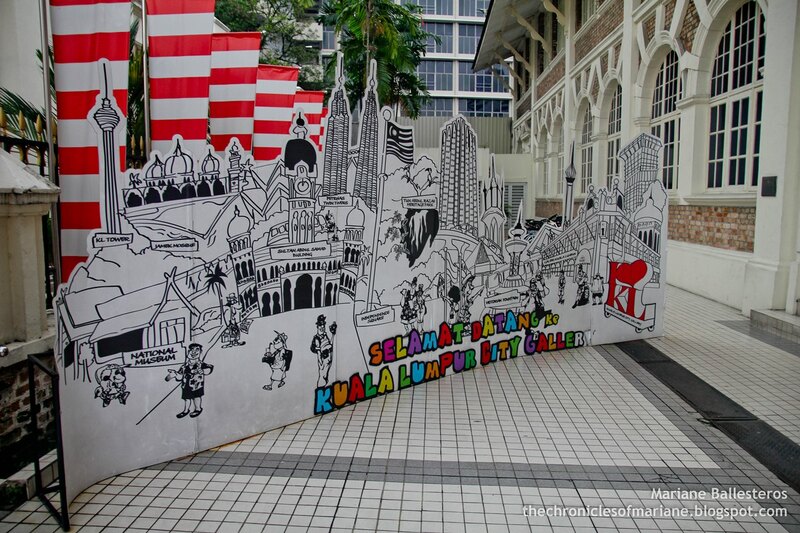 I absolutely recommend this place to tourists visiting KL and it's also free for entrance so more reasons to go! 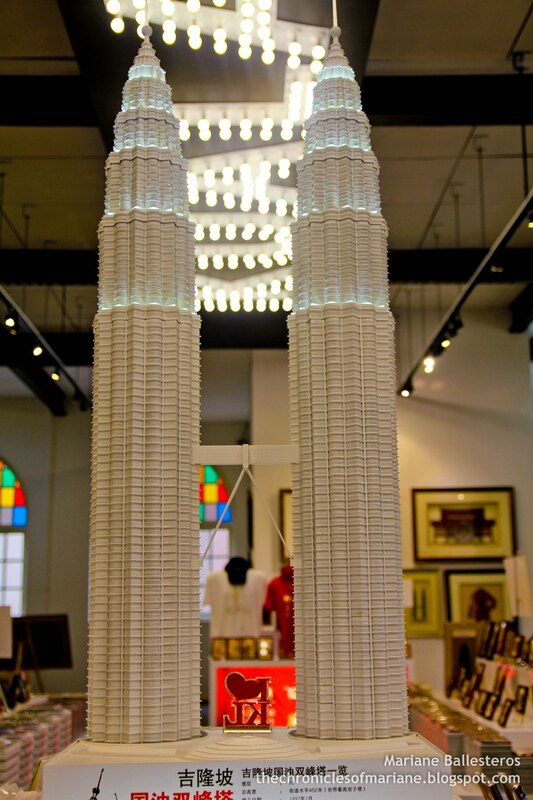 Petronas Twin Towers, I want this! We finally stepped foot to Merdeka Square which is Dataran Merdeka or translated in English as Independence Square. 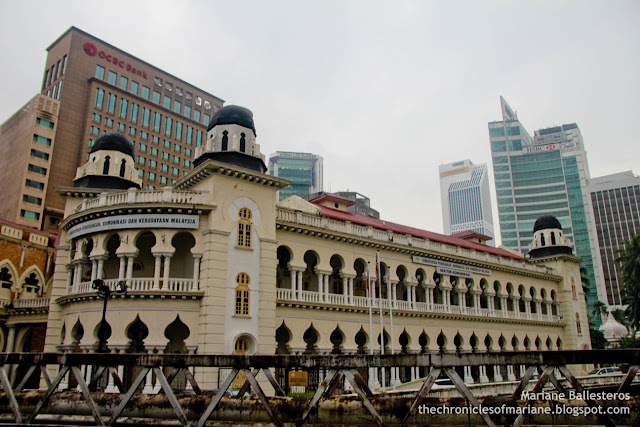 The entire place used to serve as the government administration center during the British settlement. This is where the Union Jack flag was lowered down and the Malaysian flag was raised for the first time on August 31, 1957, 12:01 AM to commemorate the end of British colonization over the country. 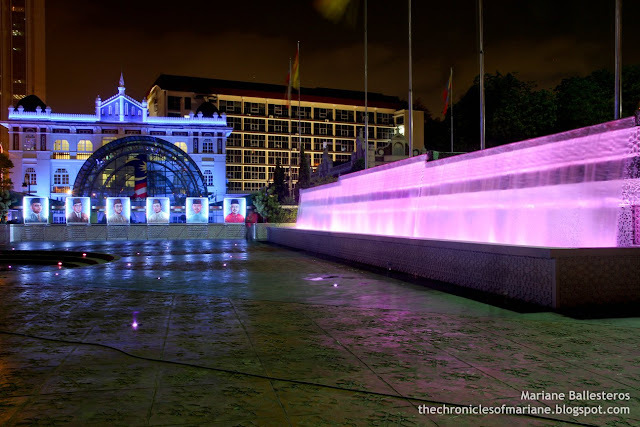 The Merdeka Square has since then been the venue for commemorating the country's independence. 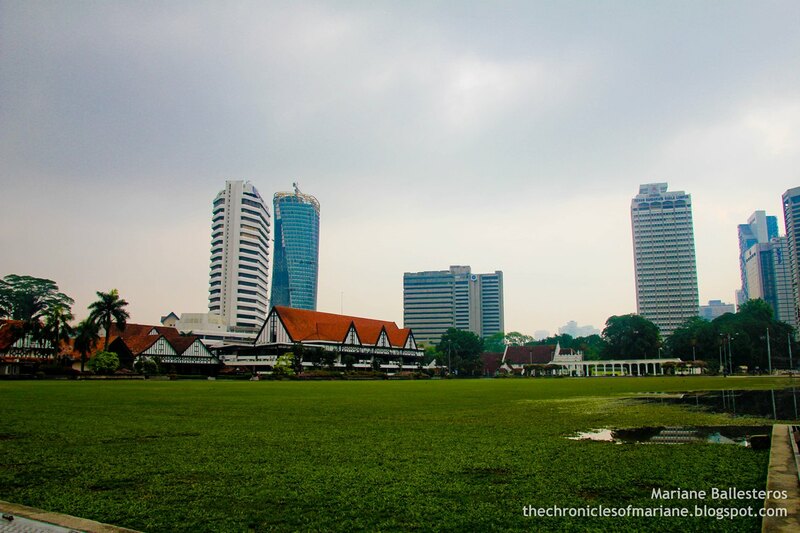 During nighttime, locals hang out on this green big open space which was once the Parade Ground during the British rule. 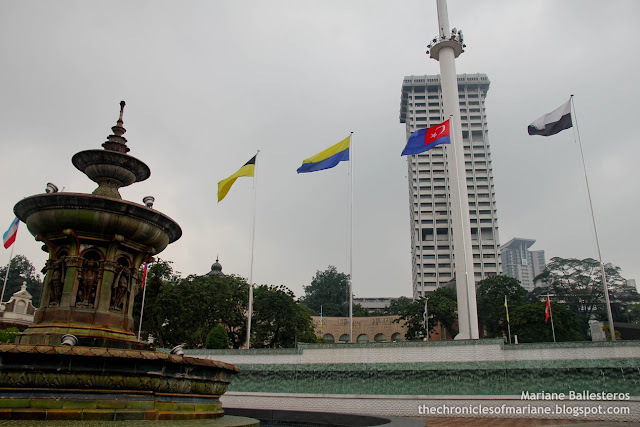 The area reminded me of Manila's Luneta Park but the first one is less crowded, of course. 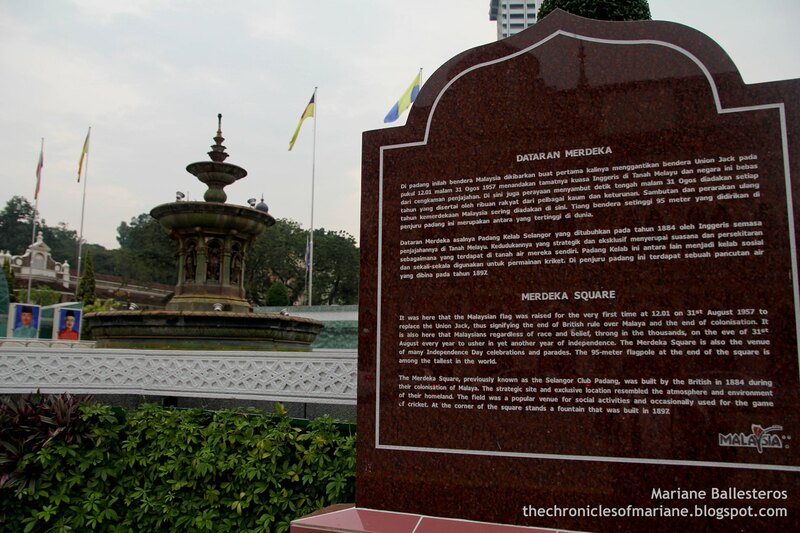 Both have a very important place on each country's history. One of the most significant feature of the place is the 100 meter-high flagpole that is said to be the highest in the world. 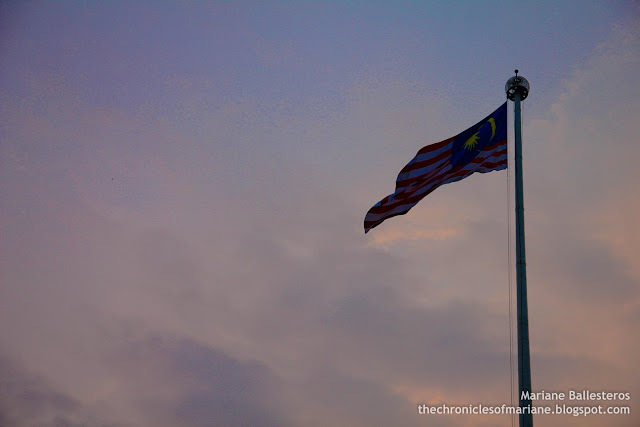 This also marks the spot as to where the flag on 1957 was hoisted and the Malayan nation was born. 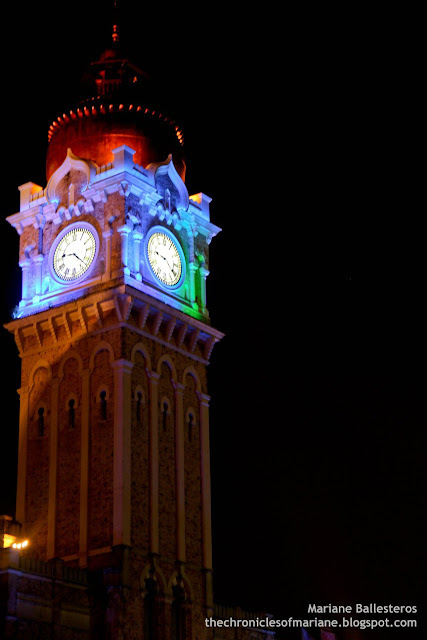 We decided to stay until the evening as we have heard that the area boosts a different "glow" during this time of the day. 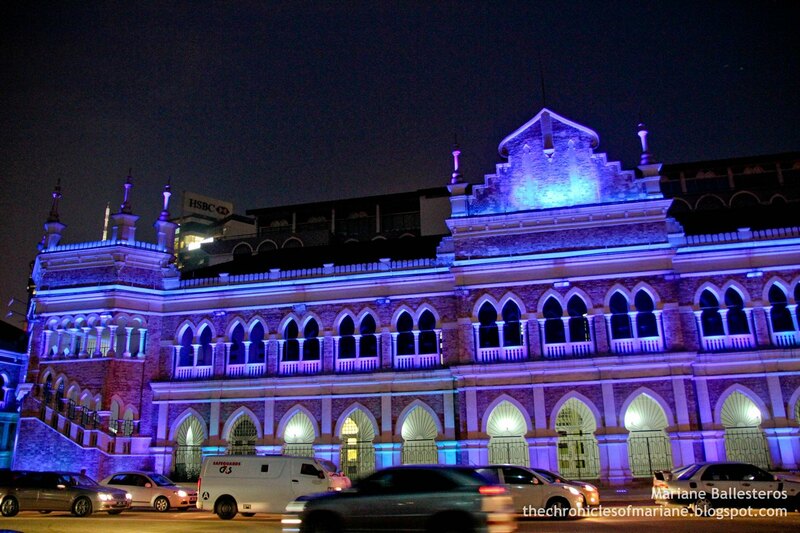 It was around 7:30 PM when the buildings were illuminated with blue lights. 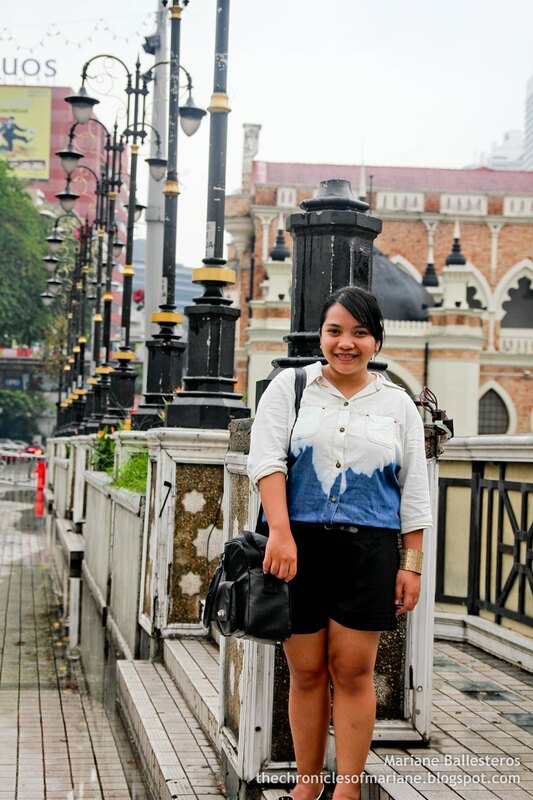 It felt like Christmas! 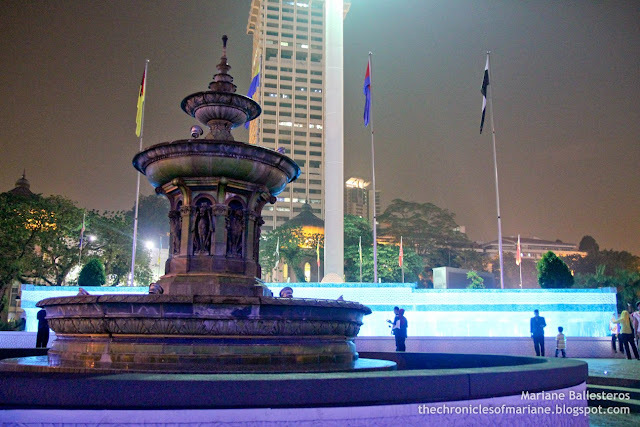 I was waiting for the Victorian Fountain to "come to life", as I thought it would have been lovely to see the fountain sprout water with lights display, but unfortunately, it was not lighted nor operated when we went (I even fell asleep again while waiting for it to start working). Nevertheless this piece of art is very magnificent with all the small details influenced by European design. 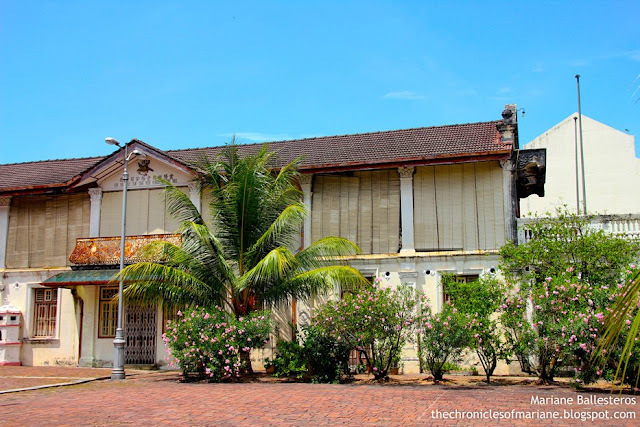 I was so surprised to find this historic gem that was also probably nearby the busiest parts of the city. 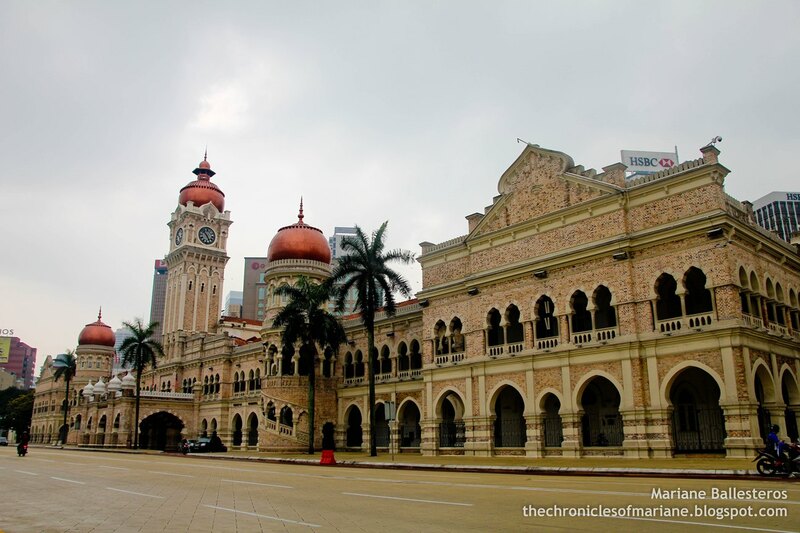 Amidst the modern skyscrapers, bustling shopping malls, and even the busy intersection roads surrounding Merdeka, I was certainly impressed with how this heritage area has been preserved. 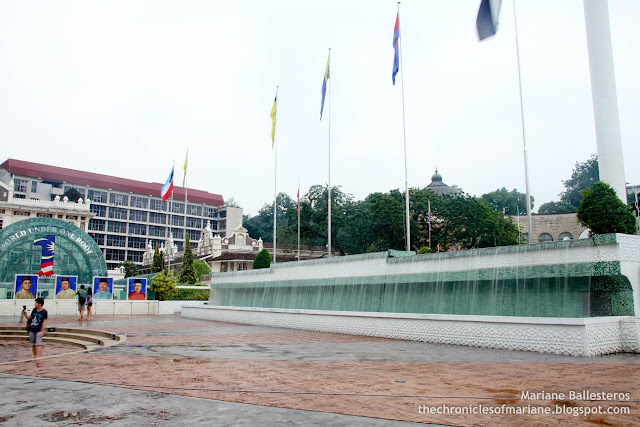 The area is not that packed with tourists, in fact, I feel it's not that famous of a tourist spot and I wish it would stay the same so as to preserve its very unique and relaxed atmosphere. 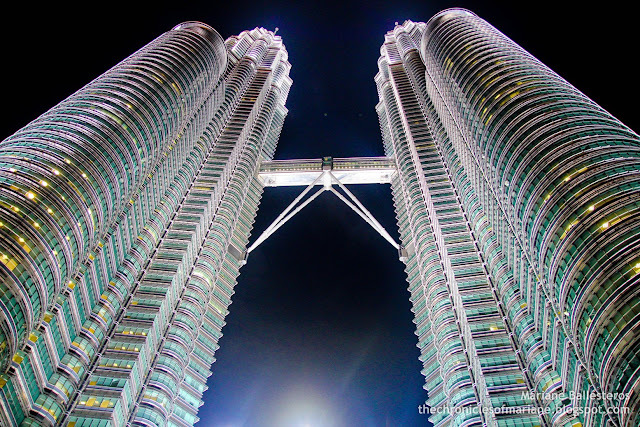 During night, I reckon it's also a good place to chill and talk with friends with these magnificent structures in view. 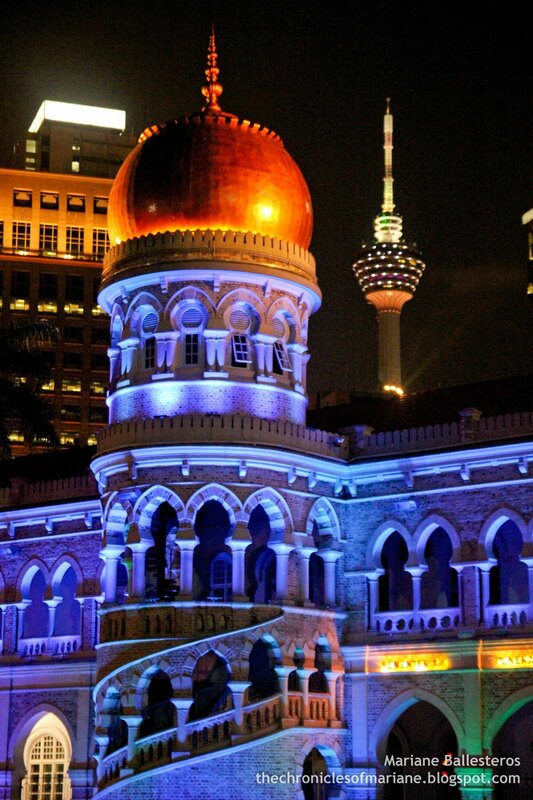 Absolutely one of my recommended places in Kuala Lumpur. 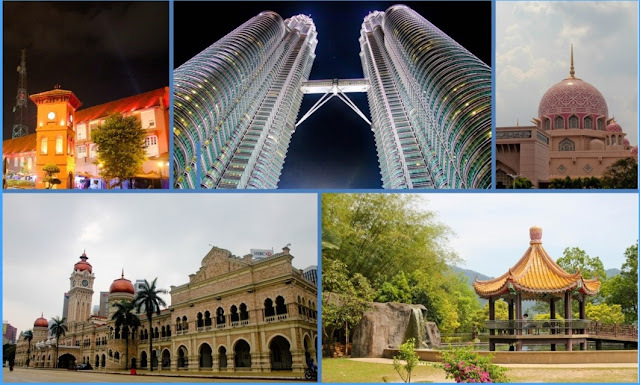 Follow my footsteps in Malaysia!